My Pinterest feed is already filling up with Fall pins (and even some Christmas ones! 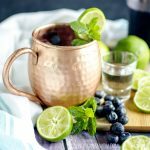 ), and while my blog calendar and my crafting lists are heading that direction too, I’m not quite ready to let go of summer just yet! 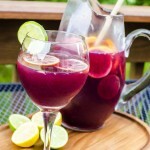 It’s started to cool off just a touch and these late summer evenings are perfect for dining alfresco on the deck, family picnics at the park, and backyard barbecues with friends. As the sun is setting earlier and earlier, it’s also the perfect time of year for outdoor movie nights! 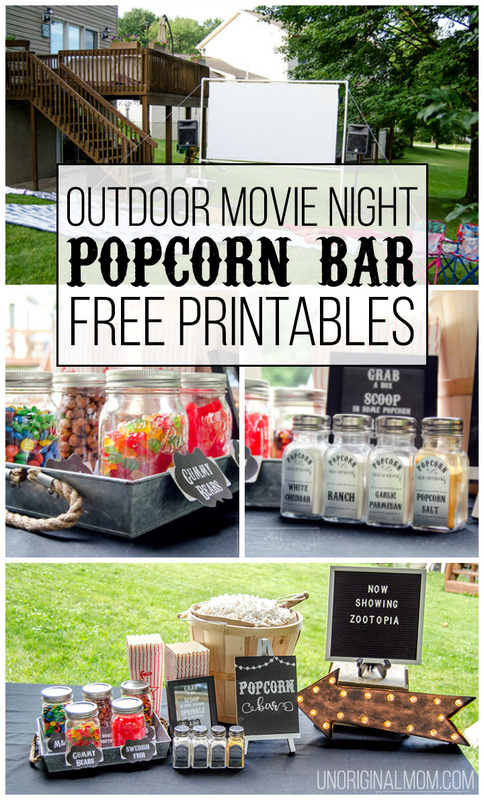 My husband and I have tossed around the idea of doing outdoor movies for a while, and this summer our kids are old enough that we finally decided to invest in the materials to host one! Turns out, though, that the whole thing cost us less than $100 – we were gifted a “broken” projector (it just needed a new bulb, which can be REALLY expensive but my husband found one on eBay for $15! ), and my handy hubby built a huge projector screen for about $50. That could be an entirely separate post, but basically he purchased a projector screen remnant here for $20 (blackout cloth works SO much better than just a white sheet), built a simple wooden frame, then stretched and stapled the fabric onto the frame. Then he built a frame out of PVC pipe that he could hang the screen inside of, and used guy-wires to hold it up. He even built a rack on the ceiling of our garage to store it above the garage door, so it takes up almost no space at all. Now we can host outdoor movie nights whenever we want! We have a bit of a slope in our backyard that we took advantage of to offer “stadium style seating,” heh heh. But it was nice, since the kids could lay on blankets closer to the screen and the adults could sit on chairs behind them on the flat part of the yard. 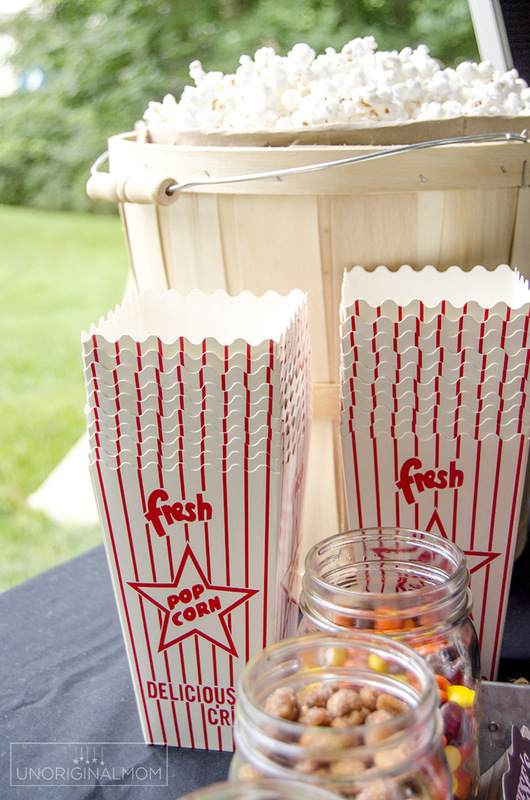 Of course, what’s a movie without popcorn? 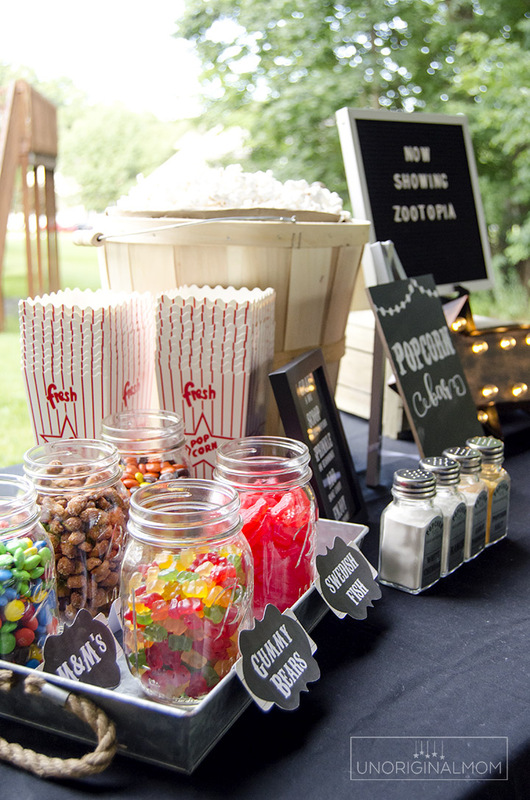 For our inaugural backyard movie night, we invited the whole neighborhood and I decided to go all out with a popcorn bar. 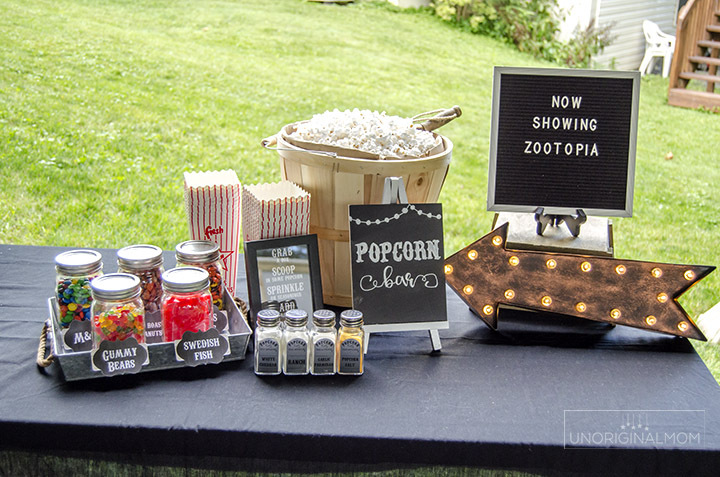 Really, though, it wasn’t hard to put together at all – and now that I have all the “fixin’s” and supplies it will be super easy to pull out for an impromptu movie anytime! 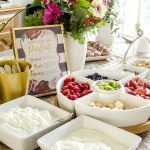 I found a big bushel basket and a scoop at Michael’s that was perfect for serving popcorn. 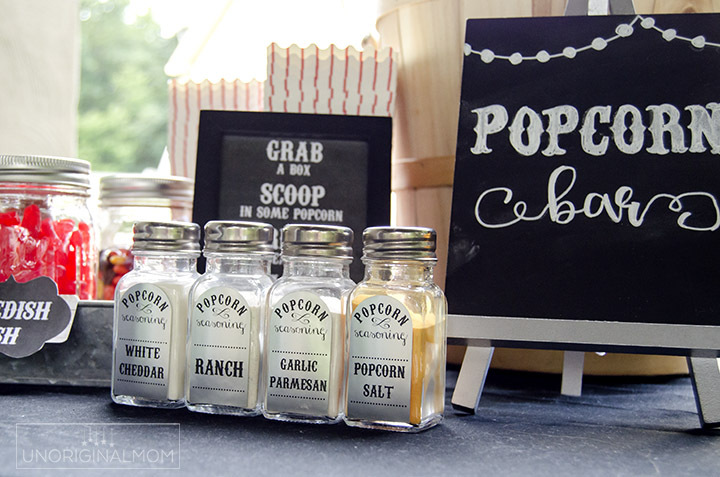 And it was totally worth stocking up on a big case of these fun popcorn boxes from Amazon!! They’re great quality and really made it feel like we were eating movie theater popcorn. Speaking of movie theater popcorn, after reading a bunch of reviews I decided to buy some Flavacol popcorn seasoning salt…it makes the popcorn taste JUST like at the movie theater! The sodium content is through the roof, so don’t be using this on your popcorn 3x/week, but for special occasions it’s a fun treat. I also got some other popcorn seasoning in Ranch, White Cheddar, and Garlic Parmesan for variety. And because I like pretty, matching things, I picked up some cheap salt shakers at Walmart (2 for $1!) and used my Silhouette Cameo to print and cut labels onto Silhouette’s printable silver foil sticker sheets. 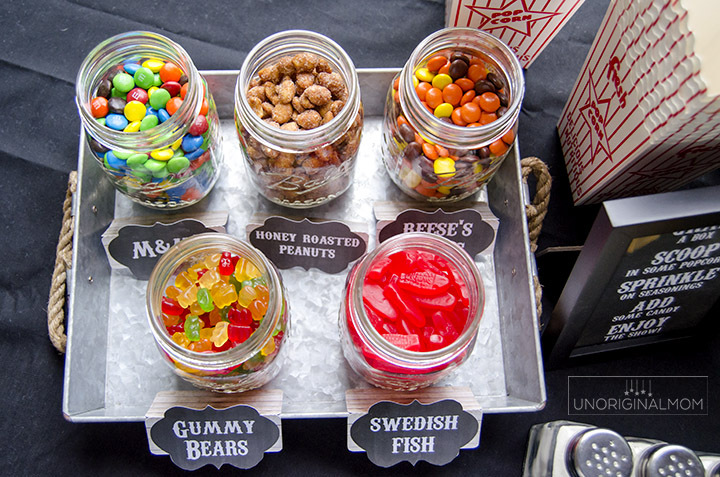 What’s a movie without candy? I headed to the bulk aisle of the grocery store to pick up some candy mix-ins. 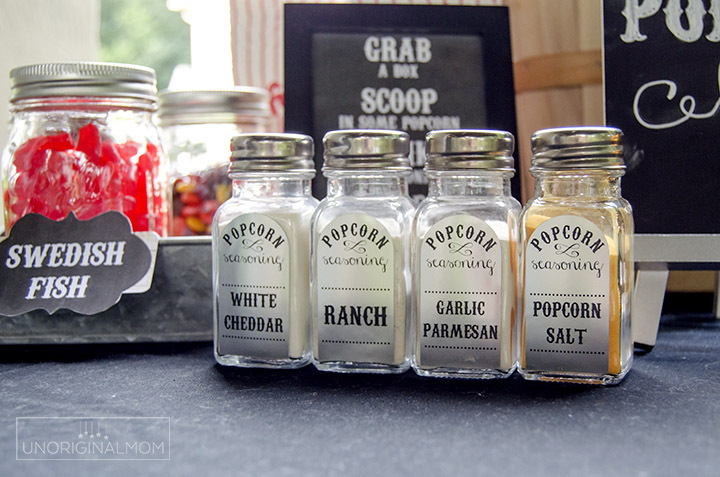 I served them on a tray in mason jars so it was easy to scoop out or even pour a little bit into the popcorn boxes. I put my Silhouette to work once again with the candy labels! 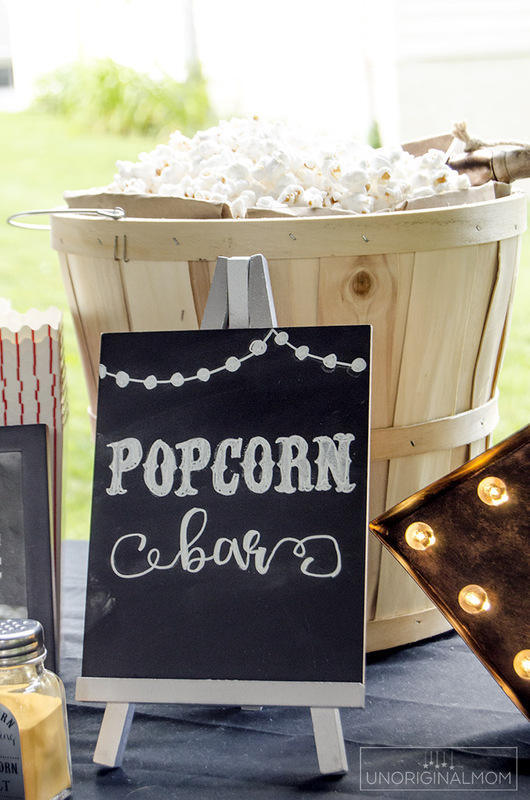 If you’re a Silhouette user, you can get the Silhouette Studio files for all these popcorn bar signs and labels inside my Silhouette library for free! Get instant access by signing up below. 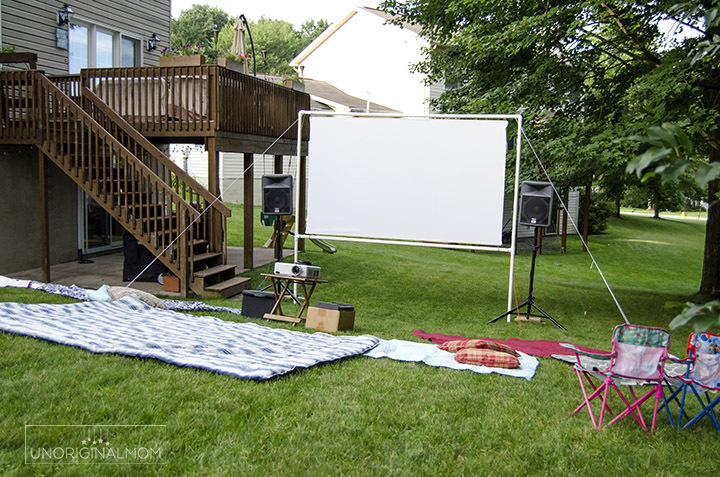 While we enjoyed inviting the neighborhood and having a big crowd over for the movie, it’s also going to be fun to have our own personal outdoor movie nights anytime we want. We can set up the screen without the big PVC frame on our deck by just leaning it against the railing, and instead of borrowing our neighbor’s big sound system we just use our Amazon Echo. That way it’s easy to have a family movie night on the deck for just us, or invite a few friends over. I can see this being a regular “family night” thing as the kids get older, or a special thing to do when the kids have sleepovers with friends. There’s nothing better on a beautiful summer evening than a movie out under the stars, don’t you think? 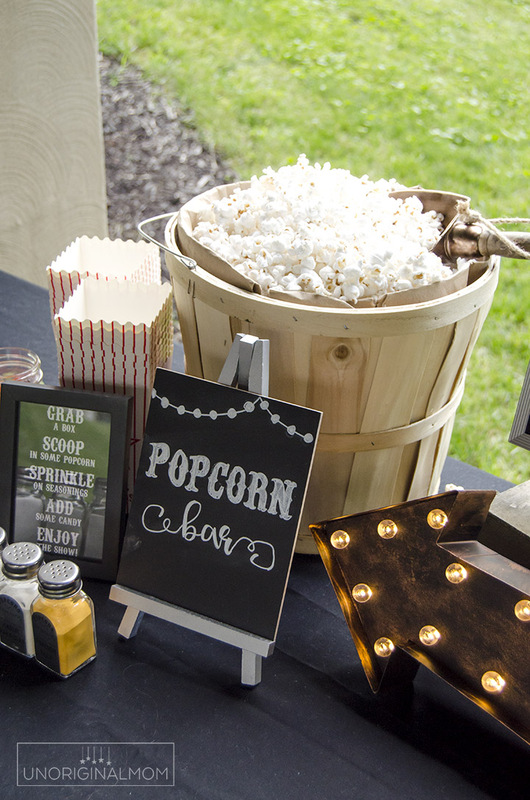 Along with a popcorn bar, of course! Subscribe to unOriginal Mom via email and get instant access to my library of FREE cut files - exclusively for email subscribers. Plus there's a new file added every month! Thank you so much outdoor project. 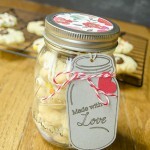 I love all the inspiration you’ve given us and your mason jars! WOW! What an awesome mom! Wish I still had kids around, they would have loved this. I’ll pass it along and they can do it for their kids. Why do they have to live 2 states away?!?!? ? 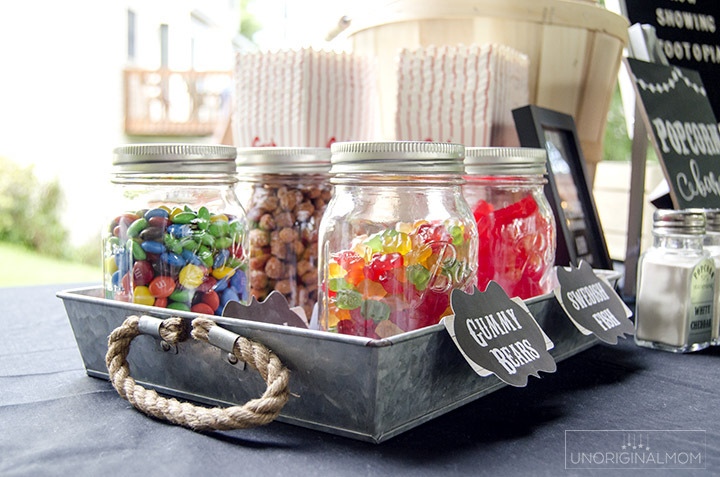 I LOVE your popcorn bar. 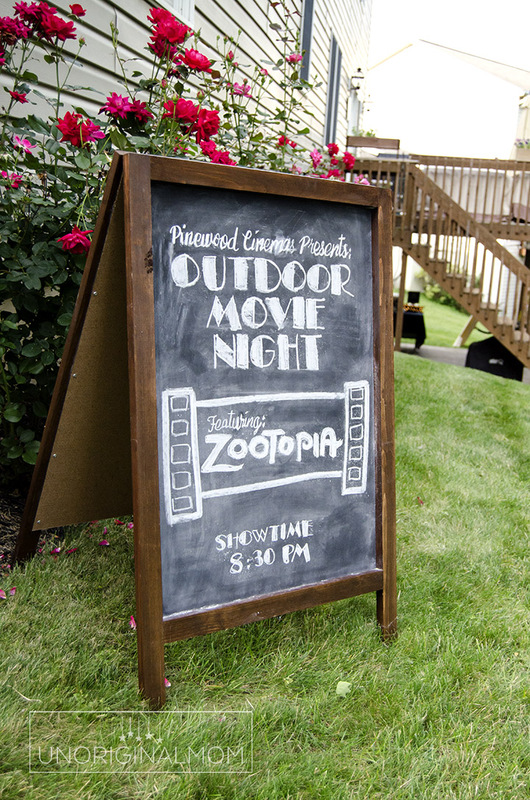 Where did you get the letter board that reads, “Now Showing Zootopia”? Thanks Heidi! That letter board is Letterfolk brand.